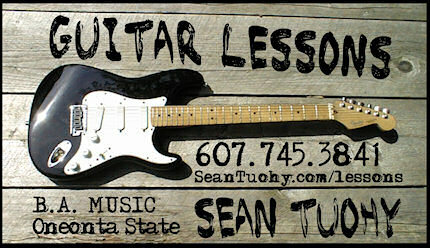 Sean Tuohy - New York website design - guitar lessons - graphic design - video production - recording studio - photography. Professional web site design for personal or business use. 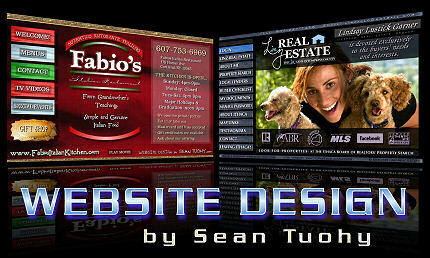 Sean Tuohy has designed web sites for over 12 years. All the features that you need: beautiful graphics, automation, e-commerce, secure login and search engine optimization to get you to the top of the major search engines. Get a top notch web site at the lowest price! Guitar instructor Sean Tuohy, BA Music SUNY Oneonta, teaching private music lessons for over 15 years at Harrington Bros Music and Cortland Youth Center, Cortland, NY. Learn to play the music you love on guitar or bass now! Breathtaking local scenery from Syracuse, NY - Ithaca, NY & Cortland, NY and the entire Fingerlakes Region. Fine art available for purchase online signed and shipped to your doorstep. 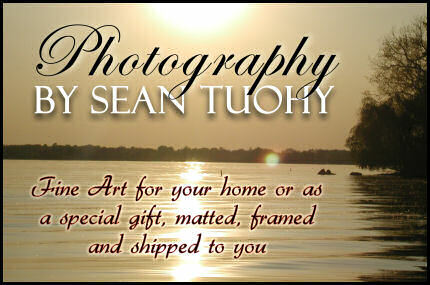 Photographic art for your home or as a thoughtful gift.